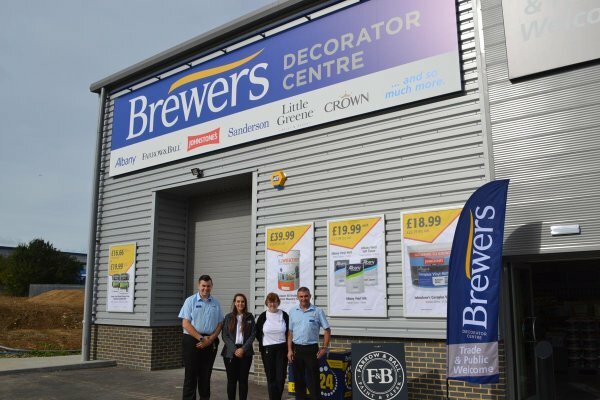 The latest Brewers Decorator Centre located in Dover is the newest addition to the Brewers group and marks the 170th store opening. Positioned on the White Cliffs Business Park, just off the A2, the new Dover Brewers store is perfectly located for the busy decorator or homeowner looking for some interior inspiration. The store stocks all the main trade paint and designer brands including Albany, Crown, Dulux, Johnstone’s, Farrow & Ball, Little Greene and Zinsser covering every colour of the rainbow! Visit The New Dover Store!